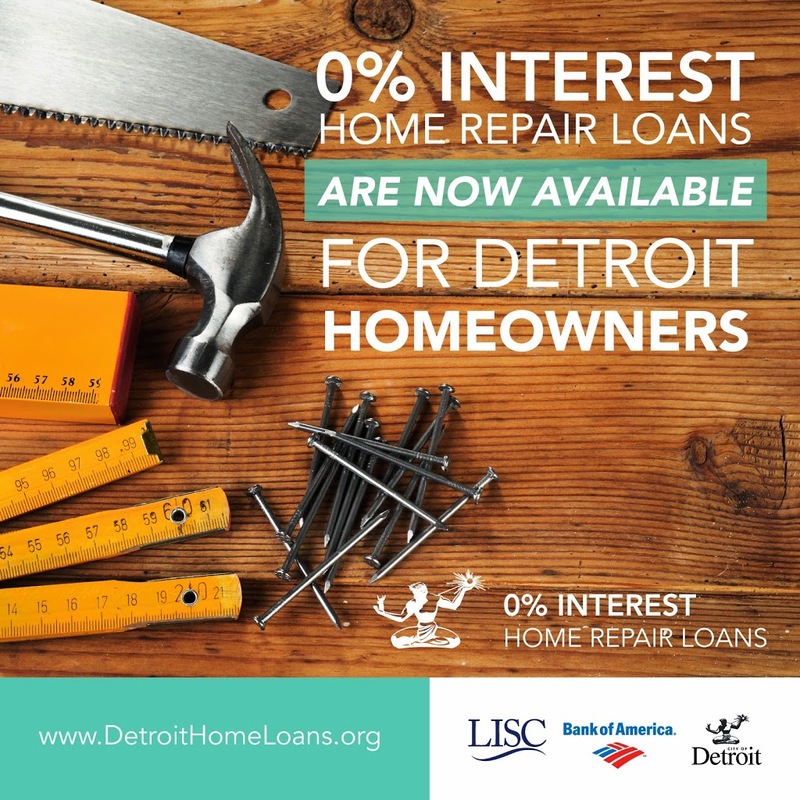 DETROIT— Mayor Mike Duggan joined city, community and nonprofit partners to unveil the Detroit 0% Interest Home Repair Loan Program, which will provide $8 million in financing for eligible homeowners looking to patch roofs, replace windows, upgrade plumbing and address structural or safety issues. The program is a city-led partnership with the Local Initiatives Support Corp. (LISC) and Bank of America. It is designed to help homeowners fix deteriorating properties and help eliminate blight—all while laying a foundation for renewed private investment in areas struggling to attract capital. It’s a focused public-private commitment to Detroit’s neighborhoods. The program targets Detroit homeowners earning up to 80 percent of the area median income ($54,150 for a family of four), as well as households in targeted parts of the city, regardless of their income. It helps fill a growing market gap—owners who want to invest in their homes but can’t get affordable traditional financing because property values have eroded their ability to borrow. Funding for the program comes from $4 million of Community Development Block Grant funds from HUD, as well as $4 million from Bank of America. LISC will use the funding to provide loans to qualified homeowners. Borrowers will pay no interest on their loans—the partners will absorb most of the costs to operate the program—but they must pay back the principal. That helps homeowners improve their credit history as they improve their homes, while also building a track record of loan performance that will encourage others to lend and invest in these communities. The program taps highly regarded local nonprofits to help with outreach. Bridging Communities, Central Detroit Christian CDC, Cody Rouge Community Action Alliance, Detroit Non-Profit Housing Corp., Goodwill Industries of Greater Detroit, Jefferson East, Inc., New Hope Community Development, Operation ABLE, SER Metro Detroit, Southwest Economic Solutions, U SNAP BAC, and Wayne Metro Community Action Agency each serve as Intake Centers, helping homeowners complete the intake forms and start the loan application process. The City has scheduled five information sessions to help Detroit homeowners learn more about the application process. Homeowners can pick up applications, talk to City staff, and set application review appointments with Intake Centers. Bank of America is one of the world’s largest financial institutions, serving individual consumers, small- and middle-market businesses and large corporations with a full range of banking, investing, asset management and other financial and risk management products and services. Visit the Bank of America newsroom for more Bank of America news. Does you have MORE questions? Click HERE to download additional information.